Pizza is one of my all-time favorite foods. 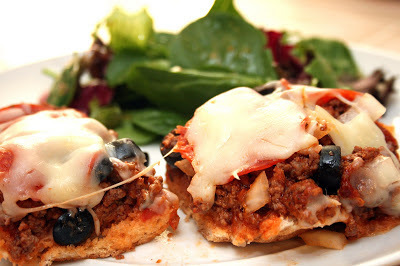 If you haven't noticed, I also like to try variations on the classic pizza such as Taco Pizza and Loaded Baked Potato Pizza. Since it's been beautiful out lately, we take every opportunity we can to grill out. So I thought trying to grill some variation of pizza was a good idea. 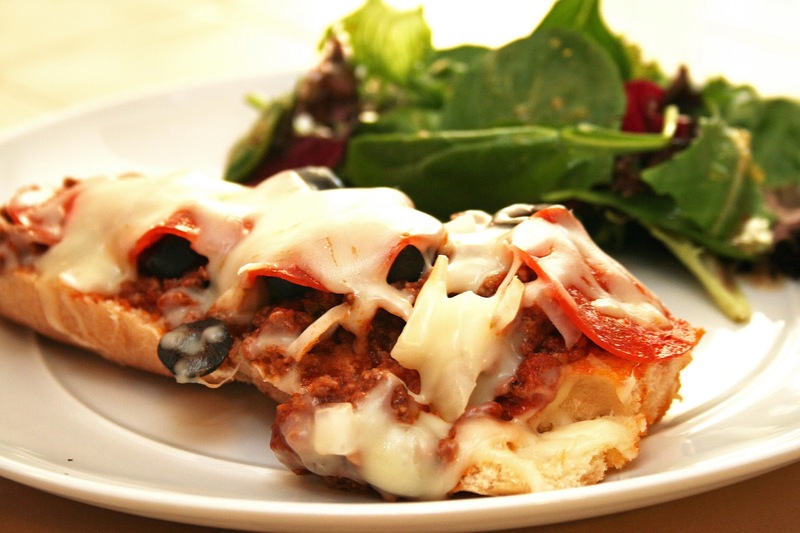 This Grilled French Bread Pizza was relatively easy to put together and was very delicious. I was also surprised at how filling it was. Preparation is minimal, and total time is quite short. I'll definitely be making it again this summer! 1) Brown ground beef in a medium skillet on medium heat until no pink remains. Add sauce and oregano and simmer for about 5 minutes. 2) Cut french bread in half length-wise and in half width-wise. Spread beef sauce mixture evenly on the open face of each slice. Top with onions, olives, pepperoni, and cheese. 3) Wrap each slice loosely in aluminum foil. Place on grill for 5-10 minutes or until cheese is melted and bread is toasted. 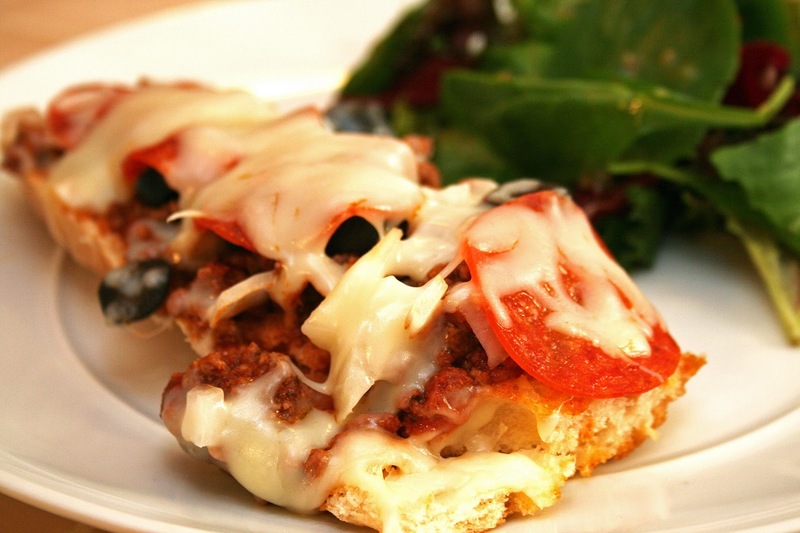 I loved your loaded baked potato pizza, so I'm definitely going to have to check out this one! Good to hear! I've been wanting to make the loaded baked potato pizza again. This one was fun and different, I think you'll enjoy as well!